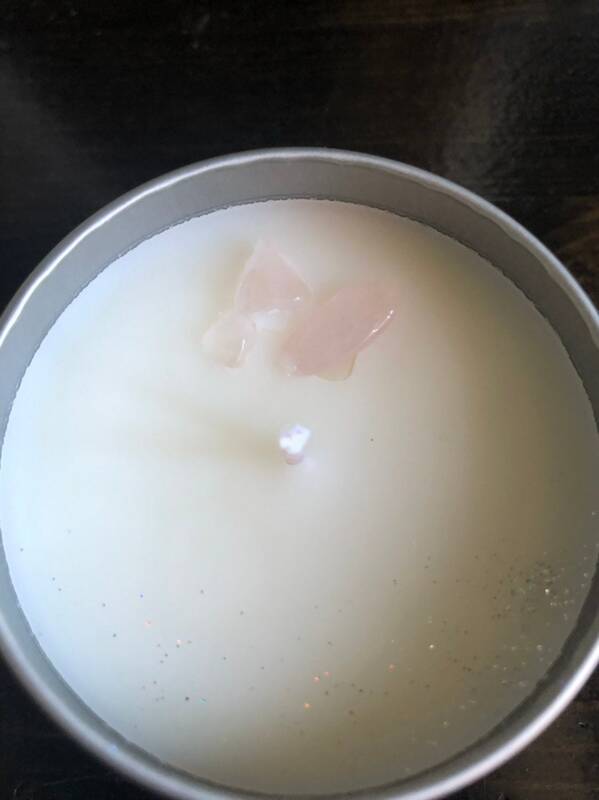 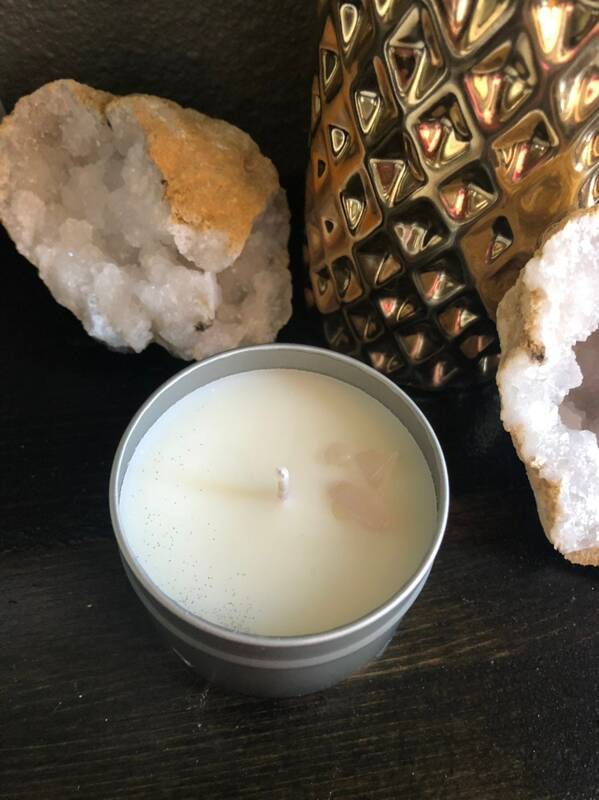 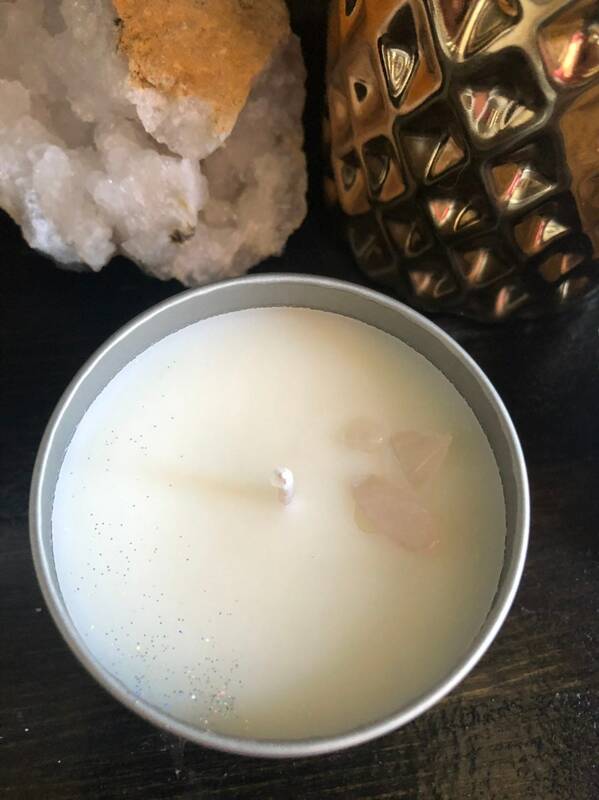 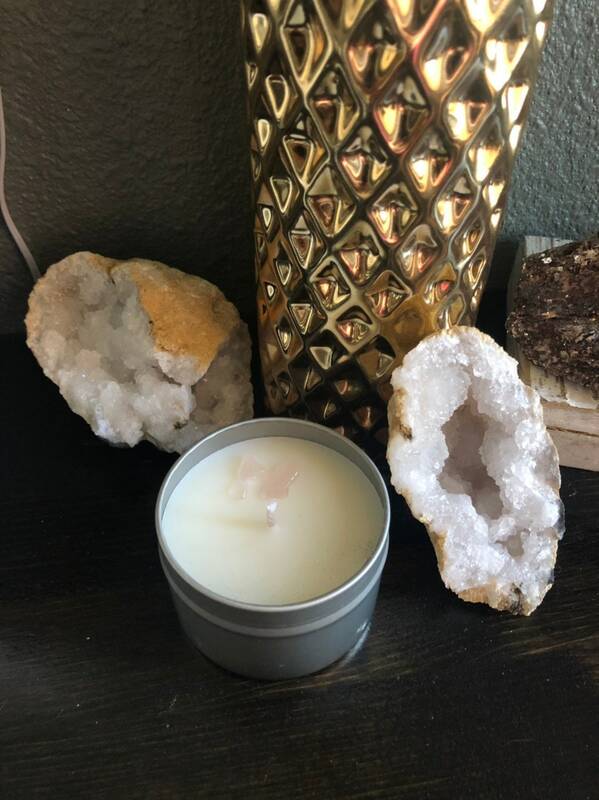 I created this crystal candle to bring love energy into your home. 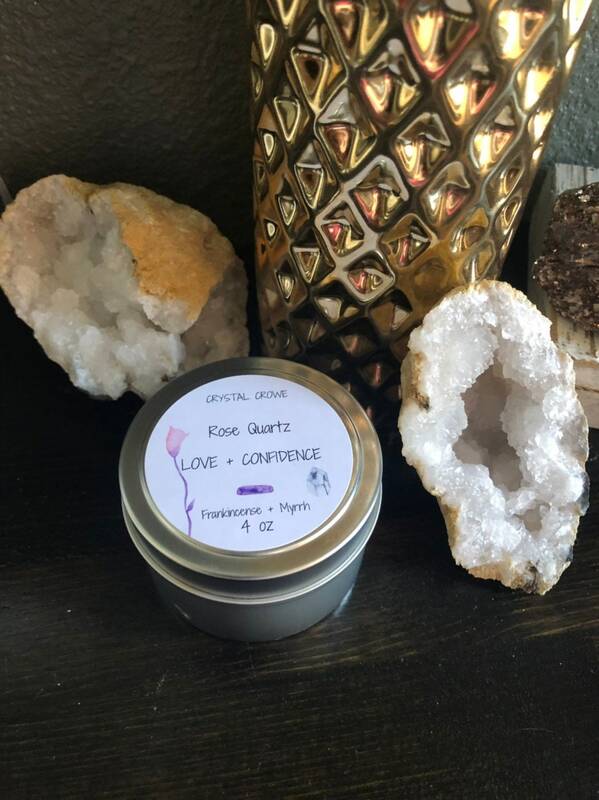 Rose Quartz is the stone of love and it’s energy is so soft and beautiful. 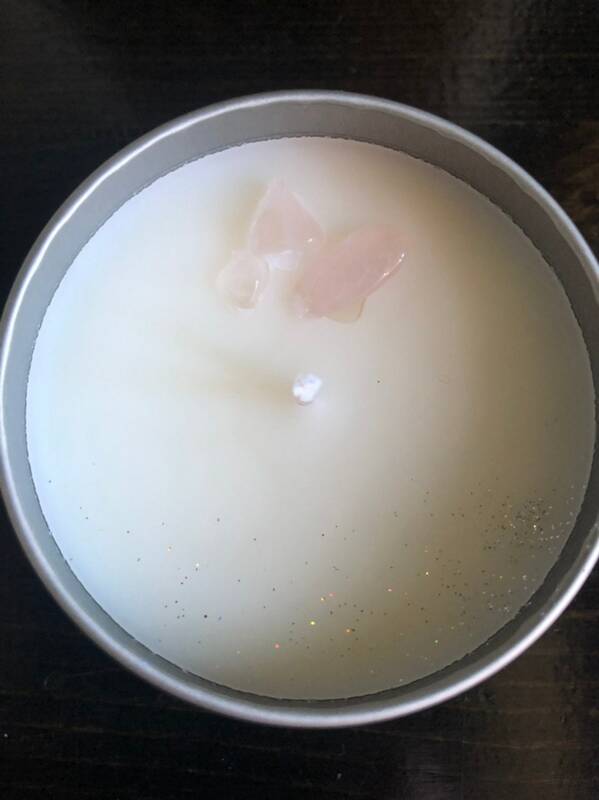 Candle be used as beautiful home decor, to burn and relax at the bath while enjoying the warm calming scent of Frankincense and Myrrh, or during meditation.